Salt’s significance in the physical world is vital. It has thousands of uses, one being the preservation of life. Salt is important to the body. Without it, we would deteriorate and die. The same is true in the spiritual world. Those of us that embody the life of Christ salt this earth. Without Jesus, our souls eventually fall into disrepair. Without Jesus, the world decays. Without Jesus, we perish forever. There was a Pharisee named Nicodemus who had seen and heard of the miracles of Jesus. These signs provoked questions in his mind that only Jesus could answer. Jesus told him about being born again, born of water and Spirit, in order to enter the kingdom of God. He said we are born as physical beings, but we must allow His Spirit to be birthed in us if we are to enter His kingdom. We need the renewal of the Spirit of God. Jesus continued speaking with Nicodemus, declaring words that have been heard now for generations. He said, “For God loved the world in this way: He gave His One and Only Son, so that everyone who believes in Him will not perish but have eternal life. For God did not send His Son into the world that He might condemn the world, but that the world might be saved through Him. Anyone who believes in Him is not condemned, but anyone who does not believe is already condemned, because he has not believed in the name of the One and Only Son of God. John 3:16-18 (HCSB) Read the entire 3rd chapter of John. What a salty text, rich with the power of God! With those words, Jesus offers cleansing, purity, preservation, seasoning, and endurance. This precious Savior provides the sacrifice of all sacrifices to save the world, if only they believe. Jesus offered Himself as the sacrifice—He came to replace the Hebrew ritual of offerings. God initially instituted those Old Testament sacrifices as a way to develop relationship with His people. It was to be a covenant of trust. The New Covenant depends on belief in the sacrifice of Jesus Christ for the forgiveness of sins and life everlasting. It is a covenant of trust. Through faith in Christ Jesus, we are provided cleansing, preservation, seasoning, endurance, and purity—Jesus is essentially the salt. And He desires His believers to be salt. That’s what He was telling the multitude during the Sermon on the Mount when He began, “You are the salt of the earth.” Jesus followers are to salt this earth with His mercy and grace, just as He did when He walked among His creation. The Scriptures below describe true believers in Christ Jesus. Let them season your life as you in turn season the lives of others around you. So if there is any encouragement in Christ, any comfort from love, any participation in the Spirit, any affection and sympathy, complete my joy by being of the same mind, having the same love, being in full accord and of one mind. Do nothing from rivalry or conceit, but in humility count others more significant than yourselves. Let each of you look not only to his own interests, but also to the interests of others. Have this mind among yourselves, which is yours in Christ Jesus...... Philippians 2:1-5 (ESV) Read through verse eleven. If then you have been raised with Christ, seek the things that are above, where Christ is, seated at the right hand of God. Set your minds on things that are above, not on things that are on earth. For you have died, and your life is hidden with Christ in God. When Christ who is your life appears, then you also will appear with him in glory. Put to death therefore what is earthly in you: sexual immorality, impurity, passion, evil desire, and covetousness, which is idolatry. Colossians 3:1-5 (ESV) Read through verse 25. Add salt to all your offerings—this was God’s instruction to the Israelites. The fact that salt might be in short supply plus a necessity for healthy living was not to hold them back. They were to give out of obedience and love. Did they follow God’s commands? Do we? This whole give-and-take thing is all about relationship. God desired (and still does) a relationship with His people. But a relationship is reciprocal—it takes two. Imagine a marriage where one spouse loves and gives continuously, attending daily to the needs of the other half. Now consider the feelings of the devoted spouse as the partner barely acknowledges his/her faithfulness, taking everything for granted, receiving it all, and returning nothing or something only out of duty. The pain would break a heart. Or consider the marriage where one spouse dotes on the other one continually. Love oozes from every word and action. But the other half callously throws that love away by turning to someone else. Mercy and forgiveness may pour from the heart of the adoring companion, but what about trust? Can the reckless lover be trusted? Does the devoted partner trust the relationship? Our relationship with God can sometimes be very similar. He is our loving Creator, devoted Savior, and faithful Redeemer. He yearns for a relationship with us. He’s given us life and daily provides for our needs. He is faithful to everything He says and does. He longs for our love, obedience, and trust. But what do we do? We turn away at times and get distracted by other gods and the things of this world. A relationship, like a marriage, involves a covenant. A covenant is a committed agreement between two parties. Each side agrees to fulfill their promises and carry out all responsibilities. Throughout history when treaties were made, salt sealed the deal. Throughout the Middle East when pacts were made, salt was used in the ceremonies. Throughout Scripture when covenants were made, salt was added. All agreements used salt. Salt’s enduring qualities symbolized forever. Covenants represented committed relationships. Devoted relationships involved trust. Adding salt to the agreements meant each side trusted the other. Consider Noah, a man who found favor in God’s eyes. When God decided to put an end to all the corruption and violence on the earth, He made a covenant with Noah. God would save Noah and his family, but Noah first had to begin building a boat where there was no water. Can you imagine the taunts he received from onlookers? Was he embarrassed? Did he contemplate dropping his end of the bargain? Scripture states that Noah did everything the Lord commanded him to do. Trust was involved in this covenantal relationship. Noah followed God’s directives and God saved Noah and his family. The agreement endured. After the flood, God made another covenant with Noah to never again destroy the earth with water. The preservation of this covenant required God’s faithfulness and Noah’s trust. Even if Noah encountered a cloudy day, he needed to trust God’s word—refusing anxiety, receiving peace. Did he? Do we? All through Scripture, over and over again, animal and grain sacrifices were made by the Israelites for the forgiveness of sins—the offering of salt was required for cleansing, purification, preservation, seasoning, and endurance. The covenantal relationship of God and His people called for trust. God faithfully provided His pardon, keeping His promise. 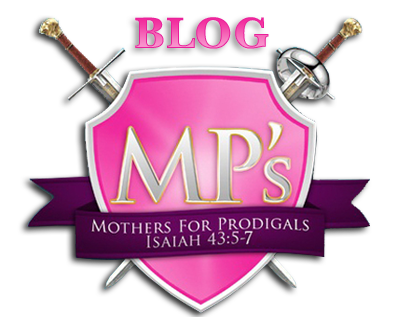 Did the Israelites sacrifice their salt and offer God their love, obedience, and trust? Do we? Time and time again God’s people failed Him. Their sacrifices offered continual, yet temporary absolution. When the time was right, God sent a once-for-all sacrifice through His Son, Jesus Christ—salt was symbolically added. Jesus died once and for all for the forgiveness of sins. Now the covenantal relationship with God requires belief in Jesus who cleanses and purifies our lives. He preserves us for Himself and seasons us with His grace and love so that others may see and believe. He offers enduring love and life everlasting. This bond demands our trust. He is faithful to His agreement. Are we? Do you have a relationship with this God? Will you add the salt of trust to this relationship? God loves you. He loved you so much that He become human. Jesus walked this earth, offering people love, grace, and mercy. He expressed His love through humble service, serving those He created. He died to offer eternal salvation to whosoever would believe in Him. Holy Spirit blesses believers with strength and peace. God, Jesus, Holy Spirit—He is salt, and if you profess faith in Him, you are salt. For ages, salt has been important. From meat preservation to making soap, from smelting and refining metals to road construction, the use of salt remains necessary. People all over the world, from generation to generation, have used salt. They’ve even fought wars over it when scarce. Salt symbolized wealth and at times in history, it was used in place of money. The Caesars of Rome sometimes partially paid their soldiers with bags of salt—the root word of salary is salt. Throughout time salt has been extracted from mines, vegetation, and the sea. Even though most North Americans take salt for granted because of its abundance, natives of the Amazon in South America crush plants with high salt content and boil the juices only to receive a small amount of this precious product. There are 14,000 catalogued uses of salt. Conclusion—salt is priceless. Last week I posted seven identifying factors about salt. Below are those aspects of salt with explanations. As you read over the list, keep in mind that Jesus, the Savior sent to rescue the world, represents salt and sees these aspects of salt in His believers. Salt cleanses - Salt is an environmentally safe way to clean tea and coffee stains in glasses, baked on grease in pans, and sweat stains from clothes. It even brightens faded and colored clothes. Salt is definitely a valuable item used in cleaning. 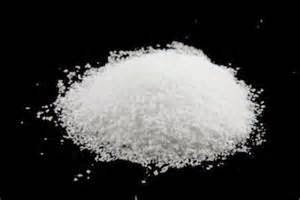 Salt preserves - Brine (or a saltwater solution) has been used throughout history to preserve meats. It’s used in tanning (converting animal skin into leather) hides and in pickling foods. Salt licks preserve the life of animals. Living beings need salt to stay healthy. Salt seasons - A little bit of salt goes a long way to enhance the flavor of foods. Instead of marinade, a steak can be doused in rock salt for a couple of hours, then rinsed off and cooked. The steak will be tender, rid of blood, and full of flavor. Salt intensifies flavor. 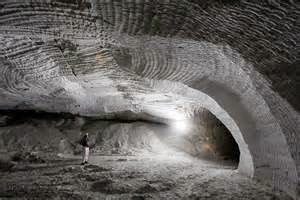 Salt endures - Salt deposits in a mine are thousands of years old and remain useful to this day. Refined salt, even if it gets lumpy, doesn’t spoil. The flavor and savor of salt doesn’t disappear after it’s been dissolved. It’s a long-lasting mineral and never spoils. Salt is pure - Salt is an uncontaminated mineral substance primarily composed of sodium chloride (a chemical compound). It contains no germs so it can be used as a disinfectant. Salt can actually clean teeth and freshen breath. Salt is precious - Salt can be treated as commonplace, being taken for granted. But when it’s scarce, it becomes a most treasured commodity. Imagine a world without salt. It’s a basic human taste—how would food taste without it? 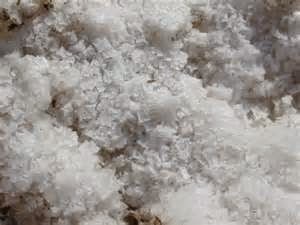 Salt as a sacrifice - God requested salt to be used in the offerings of Israel, both in the animal and grain sacrifices. Salt cleansed and purified the meat of blood and preserved portions for the priests to eat later (God’s provision for the Levites). Even though it might have been scarce, God requested it for sacrifices. He loved and provided for His people—would they give back to Him out of love and obedience? Why would God ask His people to give Him something that was in short supply? What kind of God was He? Think about the answers to these questions as well as the qualities of salt and its importance to mankind. We’ll dig deeper into the salt mines and the mind of Christ next week. Meanwhile meditate on God’s Word. Jesus spoke to a large group of people, including His twelve disciples. He had traveled throughout Galilee, proclaiming the gospel of good news and healing people who were ill, those suffering from diseases and pains, demoniacs, epileptics, and paralytics. His popularity spread across the lands of Syria, Galilee, Jerusalem, Judea, and beyond the Jordan River. Great crowds of people from these surrounding lands now followed Him (Matthew 4:23-25). Seeing all the people, Jesus went up on the mountainside and began to teach good news (The Sermon on the Mount) to the multitude. He declared blessings and future rewards (The Beatitudes) to His followers. Jesus told them to rejoice when persecuted and then pronounced them “the salt of the earth.” Why would Jesus use such an analogy and why should we rejoice over persecution? Before answering that question, let’s discover some basics and history about salt. Salt is a substance giving seawater its characteristic taste. It’s also used for seasoning and preserving food. We use it daily, sometimes without thinking. And it’s made news in America as our government has stripped it away from many school lunches; students have complained that the food doesn’t taste good anymore. I personally like salt on my food—have you ever eaten meat or potatoes without salt? A sprinkle is all that’s needed to enhance flavor. Now I admit too much of a good thing is bad—everything in moderation is the key. But salt is extremely important to our well-being. Physically, salt is a good source of sodium and chloride, and after an extreme work-out or working outside in the heat, it’s what a body needs. Adding sodium and chloride with potassium balances the body from the conduction of nerve impulses to the contraction of muscles. A bodily system out of balance can be dangerous, especially when exerting oneself in the hot sun and high temperatures. In ancient times, Israel was an agricultural society and they worked predominantly outside. Salt replenished their perspiring bodies—it was (and still is) an essential component to healthy living. Even though it was a physical necessity each day and sometimes in short supply, God called the Israelites to sacrifice salt. He gave them explicit instructions about offering salt with their sacrifices. He said, “Make a fragrant blend of incense, the work of a perfumer. It is to be salted and pure and sacred (Exodus 30:5). Season all your grain offerings with salt. Do not leave the salt of the covenant of your God out of your grain offerings; add salt to all your offerings (Leviticus 2:13). Surrender salt and add it to the covenant of God. Why would God ask them to give up something so important to them physically? Did this essential compound have a deeper meaning in the lives of God’s people? 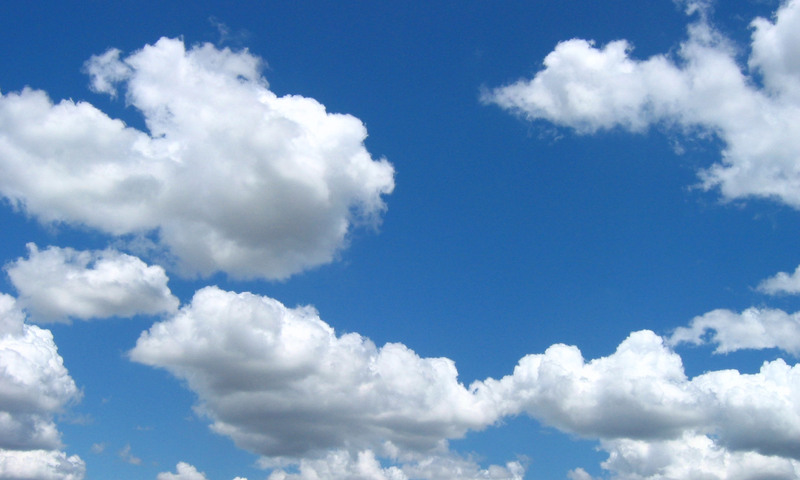 God, the Creator and Provider, supplied (and still supplies) everything for His people. Why would the Provider provide salt and then ask for a sacrifice of salt? 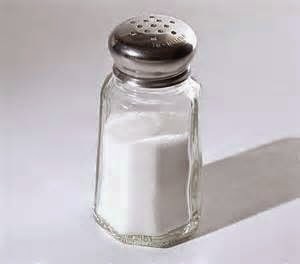 What does salt have to do with covenant? How does salt relate to people? I have lots of questions about salt and why Jesus called believers “salt of the earth.” Over the next few weeks, I hope to uncover and convey information about salt, its many uses, and its biblical meaning for followers of Christ Jesus. Hopefully I’ve piqued your curiosity as well. Below is a list of the qualities of salt along with some Scriptures related to salt and its meaning. As you read them, consider what salt meant to the Israelites and what it means for us today. Return next week to continue discovering the importance of salt in our lives. Lord God, You have called me to live like You, but sin and selfishness get in the way. Help me take my concentration off the things of this world and focus on You, Jesus. Assist me daily, Holy Spirit, in spreading Your forgiveness and love to those around me so that together we may experience Your peace. In Jesus’ name, AMEN. One who will act for thee. With compassionate words, gracious and free. One who will endure with ease. One who knows you and reveres. With quiet lips and open ears. One who ceases to blame. Of trials that can bring shame. One who brings good cheer. With those that are and aren’t dear. With wisdom, patience, and grace. Until we come face to face!